World Tuberculosis Day is celebrated every year across the world on 24th of March. It is celebrated to raise public awareness about the epidemic disease as well as garner International support towards common strategies to totally eradicate the disease from the world. Between 2000 and 2015, tuberculosis (TB) prevention, diagnosis and treatment saved 43 million lives. The TB mortality rate has fallen by nearly half. 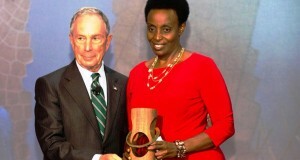 The Millennium Development Goal target of reversing TB incidence has been achieved. But, the fight against this deadly disease is only half-won. This year alone, TB will affect over 9.6 million men, women and children, and 1.5 million people will lose their lives. Last year, the United Nations General Assembly adopted the 2030 Agenda for Sustainable Development. Ending the TB epidemic by 2030 is one of the targets of the new Sustainable Development Goals. TB disproportionately affects the poorest and most vulnerable, the socially marginalized and those lacking access to basic services/health services. Therefore, progress in ending TB must go hand in hand with other Sustainable Development Goal efforts to reduce inequalities, eliminate extreme poverty, ensure social protection, achieve universal health coverage and end HIV/AIDS. Total victory over TB will require a united front. Ending the epidemic requires actions beyond ministries of health alone. As the World Health Organization End TB Strategy emphasizes, departments responsible for labour, justice, social welfare, science and technology, internal affairs and migration can all make a difference. We must also do more to engage affected persons and communities, as well as non-governmental organizations, researchers and the private sector. The task ahead is daunting. Drug-resistant TB poses a major global health risk. We need new tests to rapidly diagnose people with TB; earlier, safer, easier and shorter treatment for infection and disease; and effective new vaccines. We need to eliminate stigma and ensure all affected people have access to care. And we need to be ready to keep people healthy in the face of complex emergencies and unprecedented movements of refugees and migrants worldwide. On this World Tuberculosis Day, I call on leaders across Government, civil society and the private sector to unite to end tuberculosis. Together we can win the fight and end the TB epidemic by 2030. The venue for Uganda World Tuberculosis Day 2016 celebrations is Kyenjojo Secondary School grounds in Kyenjojo District. Uganda joins the world to celebrate under the theme “Unite to End TB” with the Slogan “Find, Treat and cure all TB patients”. The message to all Ugandans is to ensure that TB patients seek and complete treatment given to them by health workers. Participants at the celebrations include: government, development partners, the Global Fund, Uganda Stop TB Partnership, Civil Society Organizations, Media, the general population of Kyenjojo Town Council as well as school children. The Minister for Health Dr. Elioda Tumwesigye is expected to emphasize the importance of TB treatment and advise the public to always adhere and complete treatment in order to reduce risks of developing Multi Drug Resistant TB. As Uganda celebrates World TB Day it is important to congratulate the National TB and Leprosy Program for elevating Uganda out of the 22 high burden TB countries. The Days’ activities include free HIV and TB testing services, drama performances, exhibition as well as vaccination of children. Tuberculosis (TB) is caused by a type of bacterium called Mycobacterium tuberculosis. The condition is spread when a person with an active TB infection in their lungs coughs or sneezes and someone else inhales the expelled droplets, which contain TB bacteria. Latent TB. In this condition, you have a TB infection, but the bacteria remain in the body in an inactive state and cause no symptoms. Latent TB, also called inactive TB or TB infection, isn’t contagious. It can turn into active TB, so treatment is important for the person with latent TB and to help control the spread of TB. An estimated 2 billion people have latent TB. Tuberculosis can also affect other parts of the body, including the kidneys, spine or brain. When TB occurs outside the lungs, signs and symptoms vary according to the organs involved. For example, tuberculosis of the spine may give you back pain, and tuberculosis in the kidneys might cause blood in the urine. See the doctor if you have a fever, unexplained weight loss, drenching night sweats or a persistent cough. These are often signs of TB, but they can also result from other medical problems. The doctor can perform tests to help determine the cause. Although tuberculosis is contagious, it’s not easy to catch. You’re much more likely to get tuberculosis from someone you live with or work with than from a stranger. Most people with active TB who’ve had appropriate drug treatment for at least two weeks are no longer contagious. Since the 1980s, the number of cases of tuberculosis has increased dramatically because of the spread of HIV, the virus that causes AIDS. Infection with HIV suppresses the immune system, making it difficult for the body to control TB bacteria. As a result, people with HIV are many times more likely to get TB and to progress from latent to active disease than are people who aren’t HIV positive. 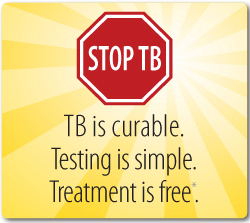 TB is the leading cause of illness and death among people living with HIV. Without proper treatment, approximately 90% of people living with HIV die within two to three months of contracting TB. People living with HIV who have TB disease die sooner than those without TB–even if they are receiving antiretroviral treatment. Globally, 12% of all TB deaths occur in people living with HIV. Drug-resistant TBAnother reason tuberculosis remains a major killer is the increase in drug-resistant strains of the bacterium. Since the first antibiotics were used to fight tuberculosis more than 60 years ago, some TB germs have developed the ability to survive, and that ability gets passed on to their descendants. Low immunity of the individual – Immunity in the case of the person contracting the disease. Patient must be advised to use masks when around other people or public places. Proper architectural planning of health centres/wards to allow proper ventilation. Opening windows, doors including those of public transport like buses and taxis. Using special lights that kill germs. Adequate treatment of TB in people living with HIV has been shown to prolong their life by at least two years. Ensure that the contacts of infectious cases can be traced for TB testing and treatment if necessary. DOT is the recommended method of treatment – Directly Observed Treatment. If TB drugs are not used properly, the TB bacteria can become resistant to the drugs/medicines. About UNHCO: The Uganda National Health Users’/Consumers’ Organization (UNHCO) is a proud member of the Uganda Stop TB Partnership contributing towards increased awareness of TB disease in over 30 communities across Uganda.UNHCO is a membership not-for-profit Ugandan organization established in 1999 by a group of Ugandans drawn from various professional backgrounds to advocate for the realization of the right to health for all Ugandans. 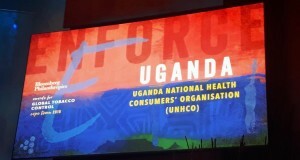 UNHCO exists to promote full integration and implementation of the rights based approach in Uganda’s health sector through meaningful citizen-duty bearer engagement in healthcare planning and delivery. UNHCO facilitates honest and non-confrontational engagement between policy makers, health providers and citizens in health care planning and delivery. Our passion is our strength; mobilizing and rallying health users for information and action, strengthening systems training groups on relevant topics, orientations on health policy frameworks, using existing evidence and spaces to influence policy and practice, using various tools to monitor services. UNHCO particularly focuses on raising awareness for prevention and management of Communicable and Non Communicable Diseases. We advocate for purposes of ensuring that policies are adjusted to provide for an enabling environment for addressing. UNHCO plans to raise awareness for prevention and management of both Communicable and Non Communicable Diseases. UNHCO advocates for necessary health policy change to provide for an enabling environment for addressing CDs and NCDs. • Without proper treatment most TB patients die. • Report early to health facilities if you develop signs and symptoms of TB. • Avoid excessive alcohol consumption. • Complete the treatment course as per treatment plan. • Follow instructions of taking your medicine as by your health provider (adherence). • TB medicines and other services are free at all government facilities. • Family/community members should not discriminate TB patients. • Early reporting for proper diagnosis by qualified personnel is very important.